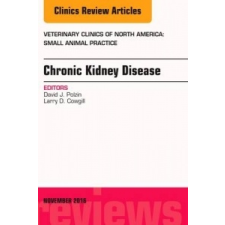 Van véleményed a Chronic Kidney Disease, An Issue of Veterinary Clinics of North America: Small Animal Practice – David J. Polzin,Larry D. Cowgill termékről? Értékeld! Tedd fel kérdésed a(z) Chronic Kidney Disease, An Issue of Veterinary Clinics of North America: Small Animal Practice – David J. Polzin,Larry D. Cowgill termékről!